FRUGAL REVIEW: New Grocery Coupons! How do we save money? 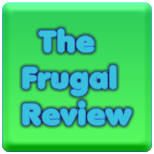 Frugal Review will show you how to save money while you cook, clean and garden and make money from home. Save 55¢ on any ONE (1) Quilted Northern Soft and Strong® bath tissue, 4 double roll or larger.Expires 7/26/2016.Save $0.55. Save 20% on any single purchase of loose Apples at participating retailers. See offer info for complete details. Check back every Tuesday for a new Healthy Offer..Expires 6/27/2016.Save 20%. Earn Cash Back When You Shop Online! Make Money With Swagbucks. It is one of my favorites sites to make money from home! Anchor Hocking Glass Water Bottle only $6! Tons Of New Grocery Coupons!